Today I&apos;ve made a little trailer for my kid&apos;s tractor from scrapwood and two unused training wheels. "If hackers want to share their values with the general public, they need to realize how important - and yet, implicit - communities are in their culture. Free Software is about celebrating every new participant and contributor, not just the rockstar project leads. When we consciously name this value, it's much easier to realize why we've been so misunderstood in our previous attempts at communication." सब सही तो चल रहा था? "In concept, concept and reality are the same, but in reality, concept and reality are not the same at all." Just updated the list of candidates we support in the General Elections to Lok Sabha 2019. Prakash Raj for Bangalore Central, Aswathi Rajappan for Ernakulam, Kanhaiya Kumar for Begusarai, Gomathy for Idukki. Along with our own candidate @praveen for Kannur. 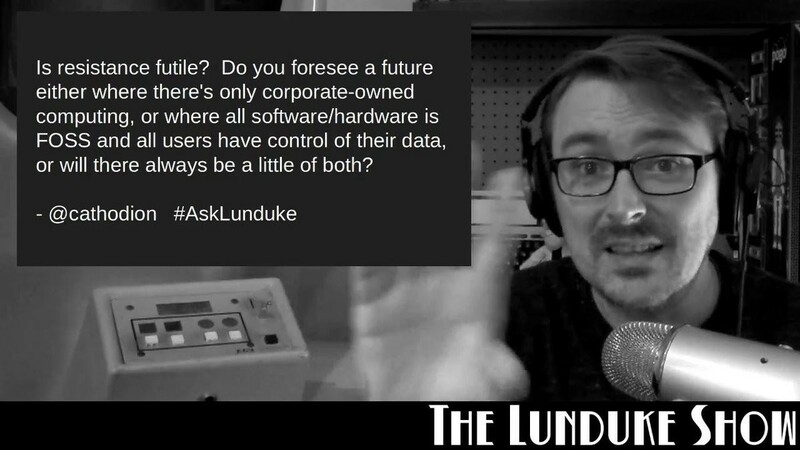 Bryan Lunduke talks about the future of computing - will data be under control of the users or corporations? He sees a role for #Nextcloud but will it be enough? We don&apos;t always get everything we want. Good to know, how about a different name? Don&apos;t want to go the WordPress way.